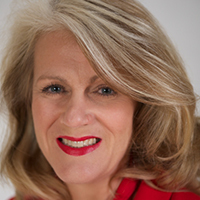 Jill McCulloch empowers business and organisational leaders to fulfil their potential, make confident decisions and inspire integrity, responsibility and respect in their team. By embracing their unique genius, they learn how to communicate their Values to connect with stakeholders, especially clients, who will most benefit from engagement. Combining over thirty years of business experience, marketing qualifications and twelve years of certified Co-Active Coaching, Jill supports high potential individuals to define and project their personal brand. Speaking and Training are important to her practice and Jill has spoken at conferences, networking events and open air debates for International Women’s Day. Jill has contributed to “Hot Women Rock: How to Discover your Midlife Entrepreneurial Mojo” by Pat Duckworth and “Your Success: the essential guide to achieving the success in life that you deserve” by Kizzi Nkwocha.